SHP neemt samen met meerdere Europese organisaties voor Animal Mediated Therapy deel aan een Leonardo Da Vinci EU Project for Education and Culture. Dit project heeft ten doel om de activiteiten, die aangeboden worden onder de term " Animal Mediated Interventions and Therapy” in alle partnerlanden te inventariseren en voor het Europese parlement uit te komen met een aanbeveling om een raamwerk van goed gedefinieerde activiteiten aan te kunnen bieden door gekwalificeerde experts, en de financiering van deze activiteiten binnen de EU veilig te stellen. Als eerste stap zijn wij bezig tot begin april een inventarisatie te doen van de activiteiten in de landen en van de problemen met die de practitioners en organisaties geconfronteerd zijn. 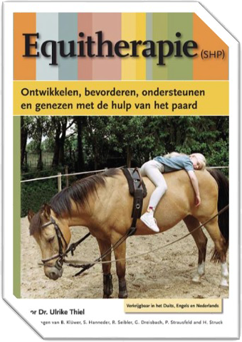 Biedt U in Nederland Animal Assisted Interventions or Animal Mediated Therapy aan, of bent u lid van een organisatie die deze activiteiten aanbiedt of steunt of opleidingen op dit terrein aanbiedt, dan bent u van harte uitgenodigd mee te doen aan deze inventarisatie Ook persoonlijke opmerkingen en punten die u belangrijk vindt om mee te nemen in het project kunt u dan doorgeven. The organizations joining in this project are working on AMAT which means to support people with difficulties within physical, psychological, mental or social order. Working within the educational, social, therapeutical or rehabilitative field we complement and depthen the medical, paramedical and educative interventions in a very efficient way. Their partner project aims on a guaranteed level of identical interventions of quality within different fields an functions in AMAT in the EU. This can only be realized by conforming training programs to a well defined levels of quality and competences that we will research and develop within this project. 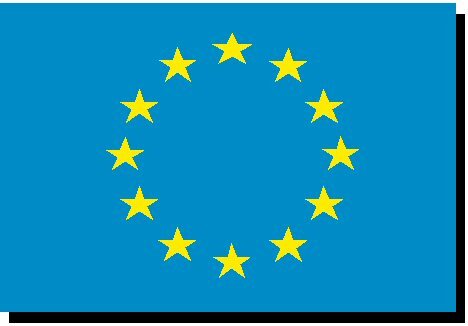 This will result in a system of quality and security guaranties for the clients in the EU. Fore more information see the attendes list of the organisations and their activities and goals. Animal Mediated Assistance includes measures for educational, social, therapeutical or rehabilitative activities being carried out by professionals with the help of the animal as subject within the triangular process (the client, the animal and the professional undergo a relation on which the process is based).The involvement of the animal is supposed to be a sort catalyst within the intended process. According to the outcomes of the former Pegasus project dating from 2003 to 2005 and other studies there is no discussion about the efficiency of AMAT, if properly done according to well defined quality criteria. But because of the lack of an official framework for teaching an practice of AMAT in European countries and means of official quality control we cannot exploit those opportunities efficiently. Furthermore this deficiency disables the upcoming generation of well educated specialists in AMAT to establish themselves as professionals and to enable cooperation between specialists in practice, training and quality control within Europe. On the other side the outcomes of this project could be profit to the financial deciders an clients themselves making them able to distinguish between the different offers of practice in AMAT. As examples for big problems is the fact that in AMAT different professions are involved who have to undergo the training as an additional training to their basic profession and practice with clients without animals involved. Therefore we have to do with different basical assumptions at the beginning of the training and in practice we have to do with a lot of very different training programs differing from 3 days to three years. There is a broad variety in definition of competencies and methods partially scientifically well justified partially not. Our objectives are to build a multi-dimensional framework of contents, legal and organizational aspects of quality criteria . So we will also assist mental health organizations by giving them tools to compare different forms and competences in Animal Mediated Assistance (AMAT) in the different European countries. This project enables the European organizations being involved in AMAT to constructively exchange their knowledge and practice in order to develop a qualitative framework approved by the European Commission. This will lead to transparency and quality control of AMAT for all the involved parts: clients, practitioners, trainers, pupils, social and medical organizations. Political and financial decisions can be based in the future on this framework within the EU. This would lead to more efficient practices in AMAT to more efficient organisation so to open opportunities for real professionals and to simplify the communication between them and exchange of professionals, training programs and lifelong learning for AMAT from one country to the other within the EU. To approach harmonization of practice, training and quality control of AMAT we work on a diagnostical review of the concrete practices, competences, profiles and trainings in the involved partner countries. Further we aim to make a summary of the problems issued from the diagnostical review. Therefore we looked for organizations in the partner countries, who are involved closely to the practice and training for ANMAT with horses and dogs, in order to aid us in our survey on the current practices and problems in the involved countries. As your organization proves to be involved closely in this topics we would appreciate very much your help in the first phase of our partner project by answering the questions of our survey questionnaire. Please use the free forms especially to inform us about problems you are confronted with in your practice. Sure we will inform you after our analysis over the outcomes of our survey and may contact your again for further steps intended. Animal Mediated Assistance and Therapy (AMAT). With this study we try to make first an inventory of the animal-assisted interventions and therapies as well as the trainings in this field that are offered in all partner countries. The results of the study will help us to define current problems and specific interests of all involved persons in order to take account of this in our future work. In addition to the questionnaire, we will send you a detailed project description and a list of all partners involved in this project. If you have questions or if you are interested in more information about the project progress and current results do not hesitate to contact us!